Scotts 13 in. 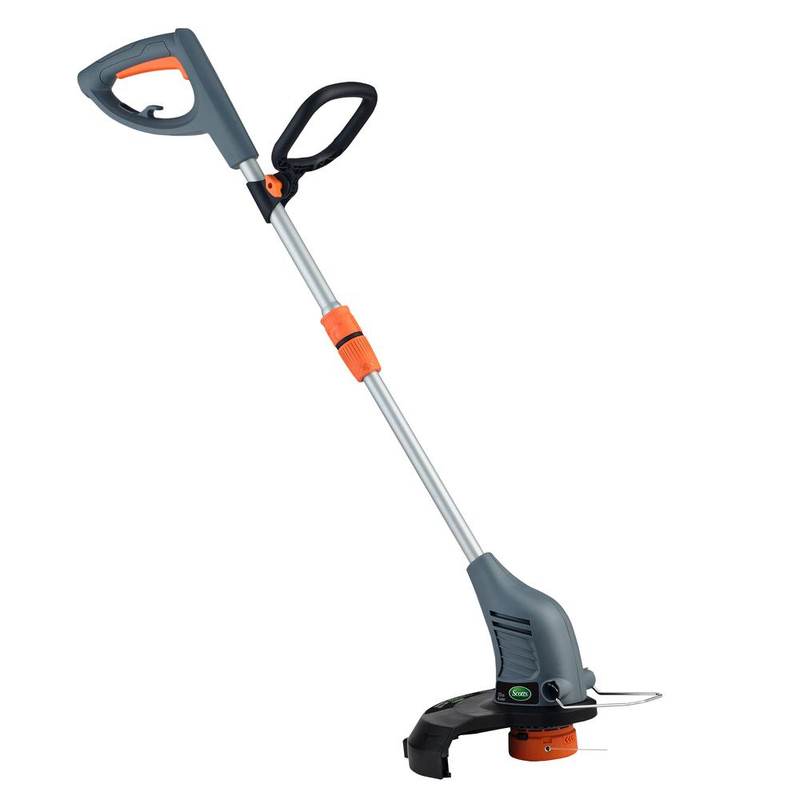 Corded Electric String Trimmer is ready to perform on the toughest trimming jobs. The rotating handle goes from edging to trimming with a simple twist. Adjustable handle and telescoping shaft let you choose angle, height and rotation to meet your needs. Cutting head has 3 adjustable positions and flip-down edge guard protects your flowers while trimming. Automatic dual-line feed for seamless operation. No need to mess with gas and oil, making for an eco-friendly job. 3-year warranty.